At Kawartha Transmission Automotive & Tire, we believe that the best way to keep your vehicle running is preventative maintenance. We proudly offer complete automotive vehicle service – from oil changes and brake jobs to tune ups, suspension, tires, steering components and more! At Kawartha Transmission Automotive & Tire, we’ve been serving the Ennismore, Bridgenorth, Lakefield, Buckhorn and Peterborough area with honest, reliable automotive repair services for over 10 years. During this time, we’ve worked hard to earn our reputation for excellent service and fair pricing. Our staff are fully trained, licensed mechanics and we’re also a Napa AutoCare Centre which enables us to repair all makes and models of cars and trucks. We guarantee our work including qualified parts and labour for 12 months or 20,000 kilometres. Nobody likes unexpected surprises – especially when it comes to getting you and your family safely down the road. Our Oil Change Service includes a thorough 60 Point Inspection and written report to enable you to better understand the condition of your vehicle. Licensed mechanics will undertake the inspection, producing a report which we’ll review with you. If your car needs service, we’ll provide a written quote for your review. *Includes up to 4 litres of oil. Diesel vehicles not included. Synthetic Oil available at additional cost. Some conditions apply. We offer our clients complete car and truck repair services including oil changes and maintenance, diagnostics, brakes, steering components, suspension, and even transmissions. Our mechanics are fully trained and licensed, ensuring you honest, reliable service at fair prices! And our service is backed by our Napa Peace of Mind Warranty Domestic, Import, European or even classic cars….Trust Kawartha Transmission Automotive & Tire to keep your car or truck on the road! We provide complete Tire and Wheel Service including sales of Winter Tires, All Season Tires, Truck Tires and more! Complete installation & balancing services. We even offer free tire storage for our tire customers! We understand how important it is to keep your fleet on the road. Unexpected break downs cost you valuable time and money. Let the team at Kawartha Transmission Automotive & Tire ensure your commercial vehicles are where they should be…on the road, servicing your customers. We provide complete maintenance and repairs to commercial vehicles. Call us today to discus how we can help save your business time and money! We are an authorized MTO Safety Certifications Shop. 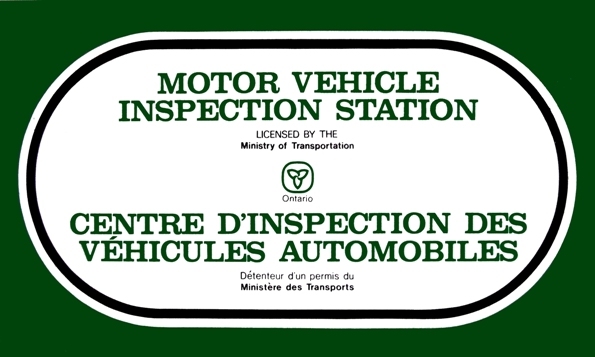 When you’re buying or selling vehicles, we’ll be happy to provide you with safety certifications. Should your vehicle require any repairs, we can provide a written quote. At Kawartha Transmission Automotive & Tire, we’re an authorized Napa AutoCare Dealer. The NAPA AUTOPRO Peace of Mind Warranty provides you with 12 months/20,000 Kilometres of worry-free protection on qualifying parts and labour. Our warranty is honoured at over 13,000 NAPA AUTOPRO and NAPA AutoCare locations across North America. Your Peace of Mind Warranty is made by the NAPA AUTOPRO service centre that performed the maintenance service or repairs on your vehicle.